Verm-X herbal pellets for the powerful and effective formulation supporting intestinal health during periods of challenge. 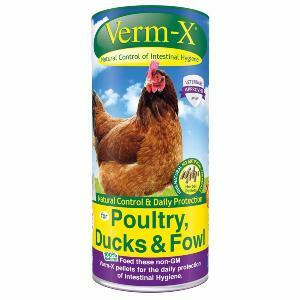 Suitable for Poultry, Ducks & Fowl. 100% natural Non GM Pellets. Repeat for 3 consecutive days each and every month.